Kids and Schools Can Win Cash and Prizes in Our Annual Poster and Video Contests! Students: it's time to get creative for a chance to win cash and cool prizes in NJNG’s Annual Conserve to Preserve® (CTP) Kids and Conservation Poster and Video Contests. Saving energy and protecting our environment is important for everyone's future. You can do your part to help, every day. Here's your chance to show us how! Win your own tablet ... plus your school could win an exciting, interactive Brain Show assembly plus $1,000! And, your teacher could win a $100 gift card! Click on the links below to get started. Good luck! Lights, Camera, Action! Our eighth annual CTP® Kids and Conservation Video Contest features amazing prizes in two submission categories – individual and group video. NJNG will award the individual video winner $500 and the group video winner $2,500 for their club or class. 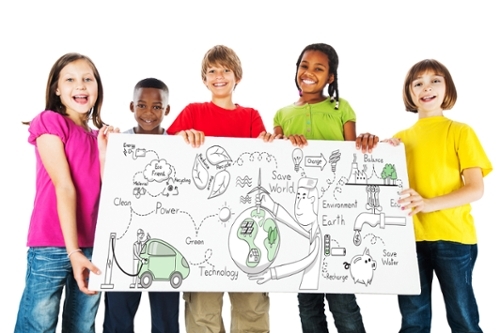 In addition, the winning students’ schools will each receive a $1,000 contribution from NJNG toward an energy conservation or environmental project. And, finalist’s videos will be posted on app.com, where the public will vote for a Viewer’s Choice award. The winning online entry will receive $500 from NJNG. The contest is open to high school students (13 years and older, including those who are home-schooled) within NJNG’s service area. Don't miss these great opportunities! Be sure to e-mail or call us TODAY at 732-938-1035 for your complete poster or video contest kit and further details on how to enter.